Valerian is a Russian boy name. Meaning “to be strong”. It derives from the Roman family name Valerianus which comes from the Roman name “Valerius”. Both are derived from the Latin term “valere“. 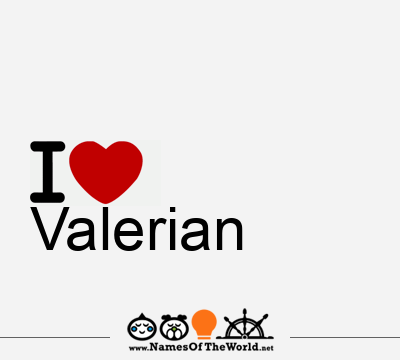 Download the image I love Valerian and share it in your social profiles, web o blog! Do you want an image of the name Valerian in arabic, chinese, gotic, etc. letters? Go to Picnames.com and create your own signature!